"Thank you Dr. Abar and his staff my teeth are amazing!" " I love my smile! I would recommend this office to anyone." "Dr. Abar is hands down the best dentist I have been to!" "We love Dr. Abar and his staff! We have always had a pleasant experience..."
"Have been going to them for the past 2 years. Dr. Abar is the best! " " If your hesitant, don't be. This is the place to go." Hoss Abar, DDS, MSD, and the team at Abar Orthodontics in Pinole, California, provide premium orthodontic services at affordable prices, serving the needs of children, teens, and adults. The friendly and professional staff at Abar Orthodontics understands that patients often experience anxiety when it comes to dental work. That’s why they make every effort to maintain a warm, friendly, and relaxing atmosphere. Dr. Abar and his team of orthodontists, including Nicole Chiu, DDS, MSD, and Mark Tavakoli, DDS, MSD, have years of experience creating beautiful, flawless smiles. From Invisalign to emergency orthodontics, the team at Abar Orthodontics offers a full range of top-notch services. Call the office or schedule an appointment online today to discover the benefits of a healthy, happy smile. "I love this place, from the front office to the assistants and orthodontist it was a great experience all around. The staff was always friendly and helpful." "It's been a great experience coming here. 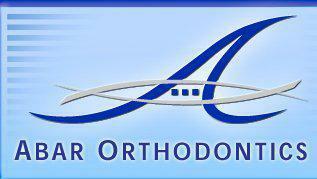 I strongly recommend anyone who needs orthodontic treatments to come here. " "Dr.Arab's office has been great with both of my twins...Currently both my twins got their braces off and we are satisfied with the results." "I am deeply grateful for the improvement in my health and the quality of my life. Thank you, Dr. Abar. I highly recommend Dr. Abar and his staff."